I wanted to update my previous bad review. Trevor Button got involved and there was an immediate change in attitude. He appoligized and took responsability for the dealership. Took the car back and made it right. What more can I say, as long as he is there we will be happy to deal with Star Motors. Had my c300 in for repair to the eco start stop function . The work took some time but the communication was great,the work performed under the hood and in the vehicle was clean and professional. I would leave less than one star if I could. I took my car to star motors to diagnose a problem with the convertible top, sometimes it would stick when opening and On at least one occasion it opened on its own. They were authorized to diagnose the problem only. They went ahead and tried to fix it, they forced the roof and damage the cables beyond repair then told me I had a choice. Pay them $3675. to repair the roof or take it as it was. So I drove the car home with the roof open and now cannot use the car in rain or cold weather. How is this right. Not only that but the headliner is now probably ruined, they left it’s so filthy. It’s a white headliner with Grease and finger marks all over it, they left the greasy cable laying on the carpet in the back, one of the motor covers off. Then they had the nerve to charge for diagnosing the problem. This car was impeccable when they got it, it had been babied all its life, it had less than 40,000 km now due to their negligence I’m looking at almost $4000 in repairs possibly more with the cost of the headliner. I guess I can take five minutes of my time to write a review since they wasted one and half hours of my time, and mess up my whole day schedule. Never had any issue before, until today. I was planning to drop off the car and take the shuttle. They were able to bring my car in right away, told me if I want to wait, because it will only take 30 minutes. I agreed. After 1 hour and 30 minutes, my car is finally ready, they told me the delay was because they were having issue with the car wash. No one came to give me any updates. I certainly would not wait for the car wash. Not the level of service I would expect from a Mercedes dealer. Apologizing doesn't help making my day any better. I brought my car in to have scheduled maintence performed as well as having a major vibration repaired. Car was in the shop for 10 days. The service department told me that the vibration was dangerous and not to go on any long drives.. 10 days and my car is apparently still dangerous to drive. I have placed several calls to see how this is going to resolve the vibration and star motors is not retuning my calls. Do not bring your car to this dealer as they do not care about customer service nor can the properly assess and repair as required. We own a C300 and are customers for a long time (7+). All services (A and B and what else becomes necessary) are being performed by them. Last months my wife brought the vehicle in for service again. She was told it will be only an hour and she could wait. Even with an appointment it became three hours. My wife asked them to look for the reason why the engine light is on. Here starts the trouble. Even though the reading out of the error codes should be mandatory they charged her an hour (!!!) of labour for it. Then they told her they can't turn it off and gave her an estimate for $2,000 plus to fix the problem. We then went to an independent Mercedes Shop and the kind gentlemen turned the light off and told her it was just a flap that was stuck open, which happens with this model in the winter occasionally. It opens up to blow warm air over the engine and shuts when the temperature increases. Occasionally it freezes open and causes the engine light to come on. Not just took they advantage of a woman, no, they also tried to make us pay for something that was fixable AND they charged us a lot of money and refused to turn the engine light off. The independent mechanic also erased all the old errors that Star Motors left in the computer and he refused to take money from my wife for this service. That's it for us with Mercedes Benz and Star Motors. The next one will be a BMW. Whole purchasing process was flawless, courteous, professional and attentive to my needs. Sal G. Was extremely accommodating and helpful as was R. Keene. Pricing was very competitive. I recently bought a car from Ottawa Star Motors.Friendly, caring and professional staff. George and JP were wonderful, experienced, knowledgeable, funny and down to earth. They answered all of my questions. Super happy with my purchase and highly recommend this dealership. My wife and I were in the market for a new luxury SUV. We looked at the usual suspects BMW, Lexus, Cadillac, Audi etc. but hadn't really considered Mercedes due to the perceived up-charge for the name plate. We were close by so we decided to stop into Star Motors to check them out. BEST DECISION EVER!! The vehicles were truly world class but the dealership and the staff were the real eye openers. Our salesman Maurice and Robert from the business office were simply amazing. Very knowledgeable, super friendly yet no pressure tactics. We felt like were we having a conversation about vehicles and our lifestyle as opposed to be sold something. The dealership itself was immaculate despite being under renovation. You could tell that the staff and management really cared about the experience that they wanted to create for their customers. On Pick-up day the General Manager came to speak with us to thank us for choosing Mercedes and Star Motors. He was very genuine and truly valued us as customers. 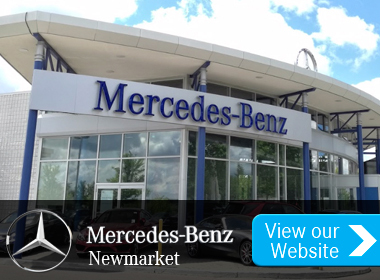 We could not have been more pleased with our Star Motors experience or our new Mercedes Benz. I can't recommend Star Motors enough... Thanks guys! !